The first day of third grade puts Judy Moody in a mad-face mood. She just knows everyone will come back from summer vacation with word T-shirts, like "Disney World" or "Jamestown: Home of Pocahontas." All Judy has is a plain old no-words T-shirt. She'll have to go to a new classroom, with a new desk, and she won't have an armadillo sticker with her name on it like she did last year. And knowing her luck, she'll end up sitting next to Frank, the boy who eats paste. For breakfast her dad makes eggs with the yellow middle broken, and her younger "bother," Stink, thinks he knows everything now that he's starting second grade. 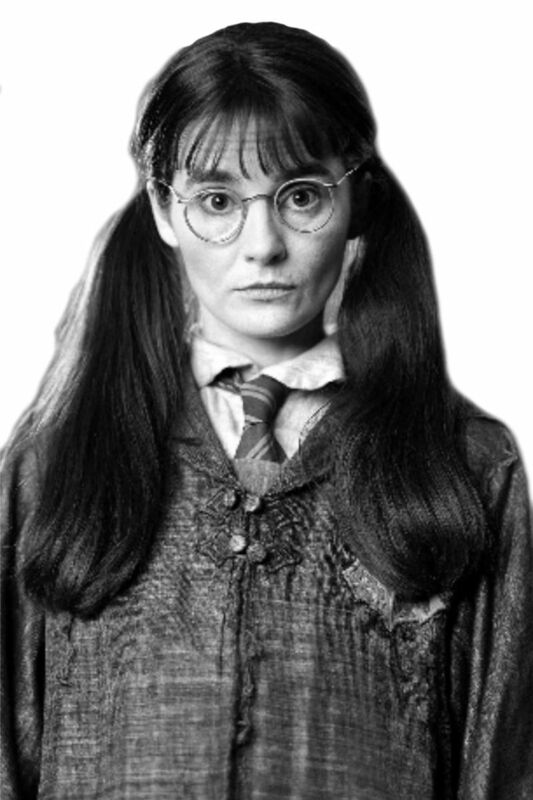 But bad moods never last long with the irrepressible Judy Moody, and before long, her day--and year--look brighter. Mr. Todd assigns the class a "Me" collage, which sets Judy on a lively and hilarious self-exploration over the next few action-packed weeks. I picked this book up during one of my random strolls through the library shelves, drawn to the simple brown paper wrapper and delightful line drawings. 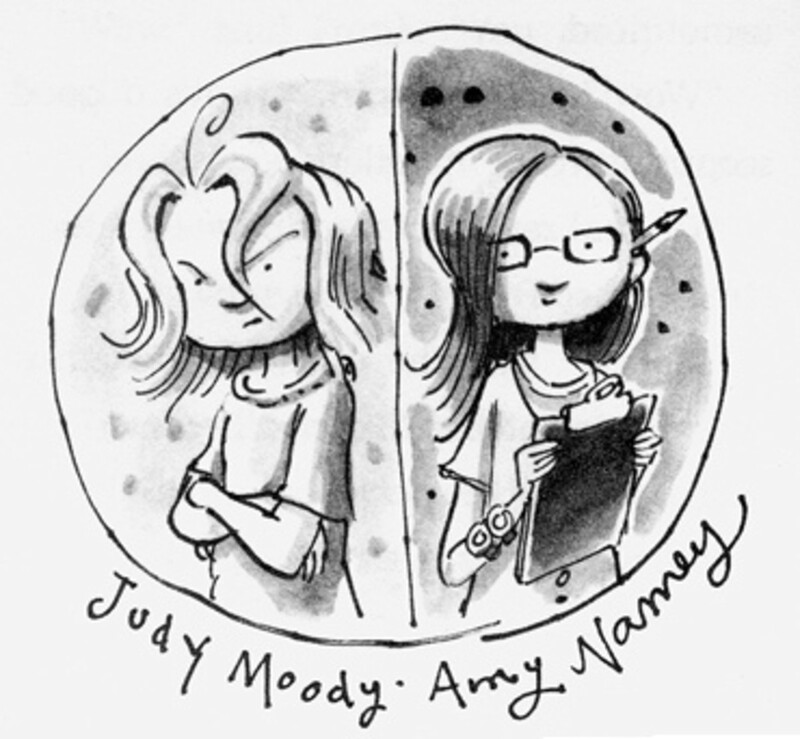 As a bit of a moody person myself, I was intrigued by the entire title of the first book - Judy Moody was in a mood. Not a good mood. A bad mood. The story of this first book covers the first month of Judy's third-grade year, one she isn't looking forward to thanks to an unadventurous summer. But thanks to a project - the Me Collage - assigned by her new teacher, the month delivers a series of new experiences as Judy gets a new pet and makes a new friend. This would be a great read-aloud book for bedtime as each chapter covers a different topic for the Me Collage, making them perfect mini-stories that mostly resolve by the end. But it is also just right for the beginning chapter-book reader who likely happens to be the same age as Judy or her brother Stink. Further books in the Judy Moody series follow Judy through third grade - on field trips, to a college tutor, anywhere Judy can employ her rather unique perspective on the world. Judy Moody: What Mood Are You In? 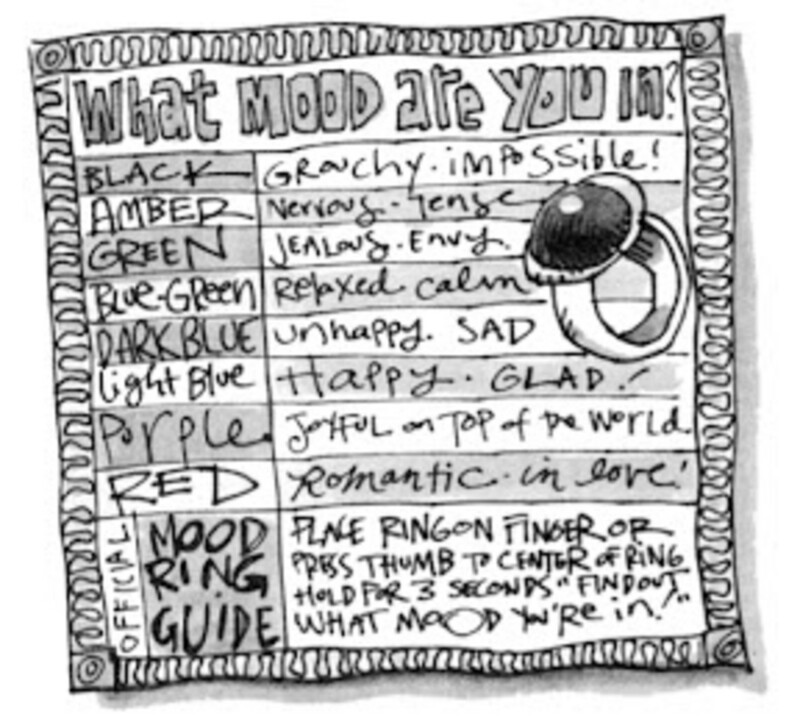 The Official Mood Ring Guide - find out what mood you're in! Judy tries to dance the Tarentella by herself. Venus fly traps lies in wait for insects to land on its trapping structure with the trap activated when the insect bumps one of the hair-like triggers. Who's carnivorous plant is cooler? Don't believe me? Reviews by kids like you! Let me know in the guestbook if you post a video review so I can include it here. Judy has some trouble with a few of the categories Mr. Todd gave the class for completing their Me Collages. If you did a Me Collage, what would be the hardest one for you to figure out how to include? Judy isn't that thrilled with Amy Namey when they first meet. She resents that her friends like Amy and doesn't like all the attention she's getting. But eventually, Judy becomes great friends with Amy, although that causes some problems with Rocky and Frank. How do you react when you meet someone new? Do you like people right away or do they have to grow on you? Best friends forever right from the start! Generally, I either like you or not when I first meet you. I've had to change my mind about some people before. I already have enough friends so I'm not interested in liking anyone new. Have a Judy Moody Day!! 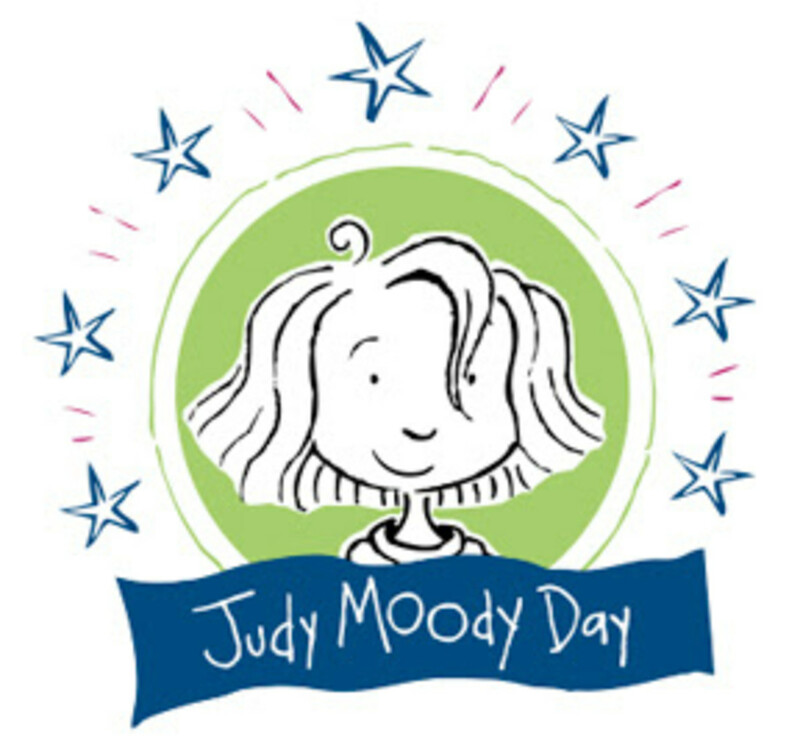 Celebrate your own Judy Moody Day!! Mouse, Toady, and Jaws). 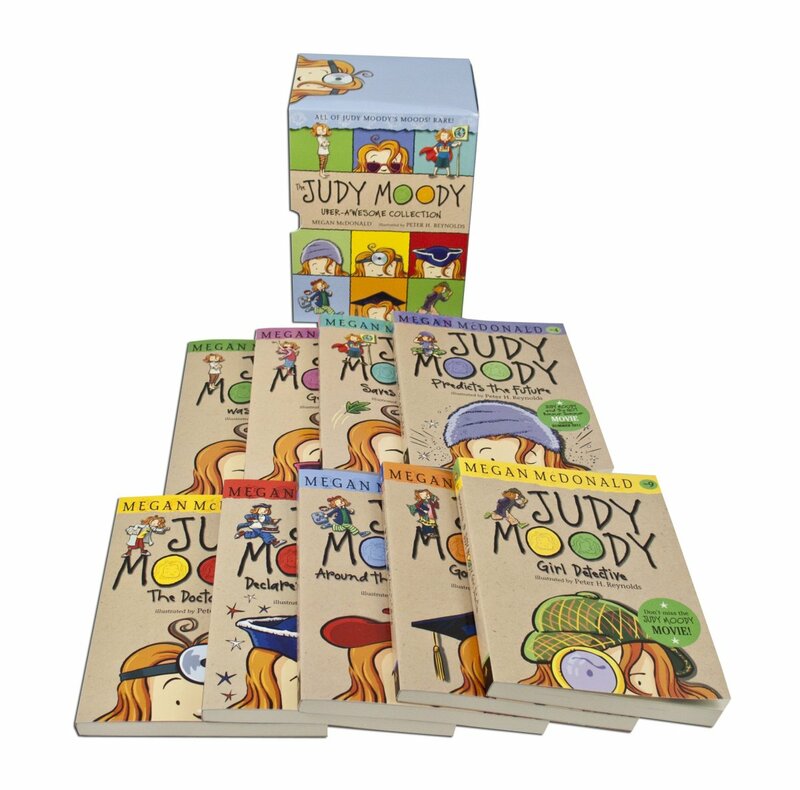 The Judy Moody Day event kit includes ideas for contests, activities and crafts based on the Judy Moody books. Have your own day at home or get your neighborhood involved. Judy Moody: She's in a movie!!! It seems Judy has decided she is going to have the best summer ever. And we know just the kind of stuff Judy will decide has to be included for that to come true. I read somewhere that a hunt for Bigfoot is part of the story. This could get fun. Totally new Judy Moody story - not taken from one of the nine books - and there seems to be a new set of books coming along with it. The entire gang is involved - Judy, Stink, Zeke, Frank, Amy Namey, Mr. Todd, Mom, Dad. Australian actress Jordana Beatty plays Judy in the movie. She's cute! Pretending to be a pencil sharpener was Megan McDonald's first experience as a writer. She was 10 years old when she wrote the story for her school newspaper. "Anything can become an idea for a story," says McDonald. "Even a pencil sharpener!" 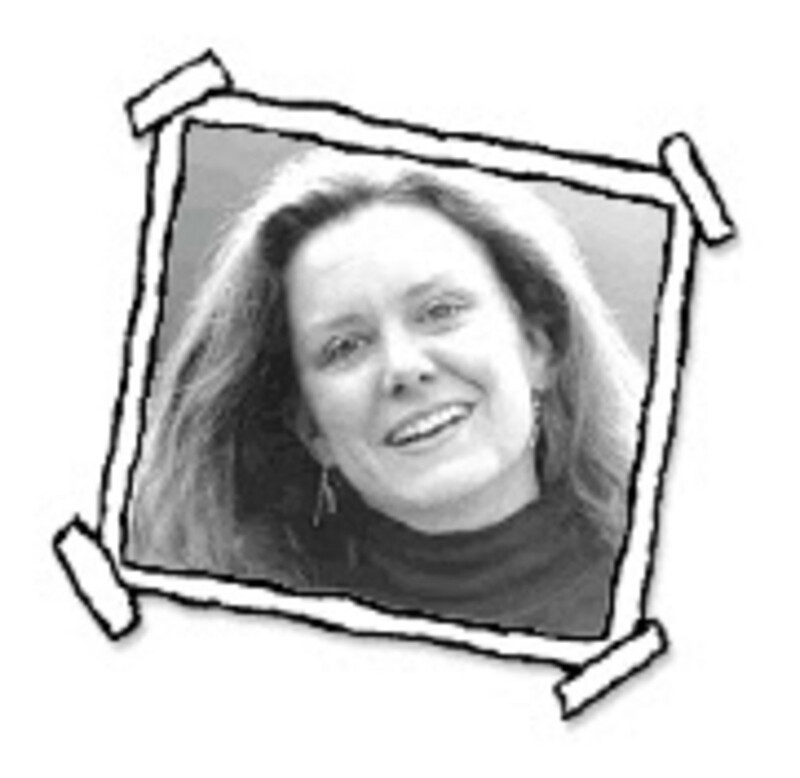 Megan has since written and published twenty-five books for children, including the hilarious Judy Moody adventures, which are largely inspired by her childhood memories of growing up with four older sisters. Official Website with more information on Megan and her books. 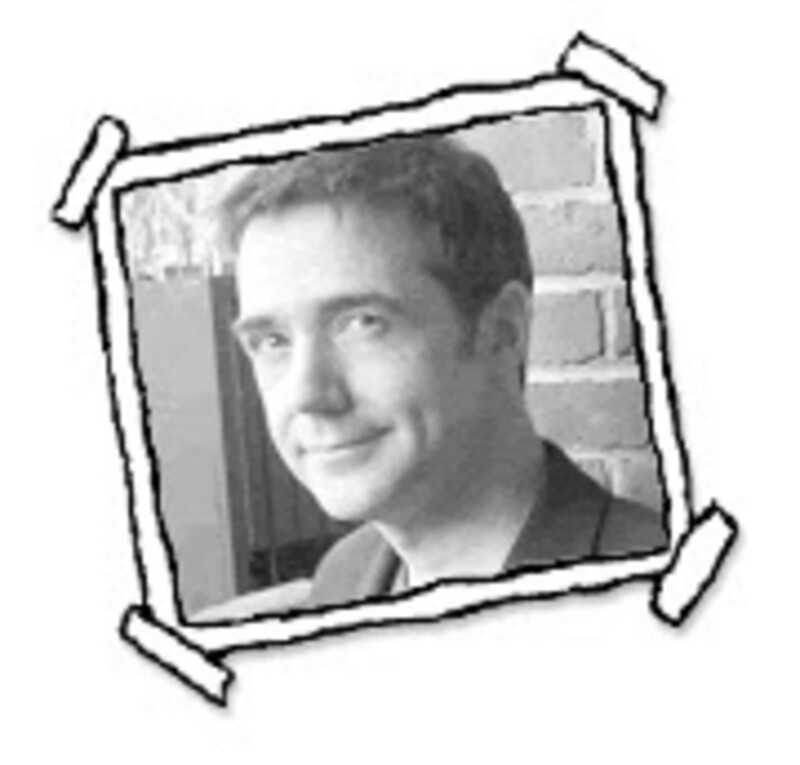 Peter H. Reynolds is the author-illustrator of a number of other books, including The Dot and Ish, two enchanting picture books that celebrate the creative process. “I often visit classrooms and ask who loves to draw. In kindergarten and first grade, all the hands go up. In second grade, most of the hands go up. In third grade, half the hands are up. By fourth and fifth grade, most of the hands are down, or perhaps pointing to ‘the class artist.’ It’s sad to see the artistic, creative energy slowing down, being packed away. I am convinced it’s because children learn early that there are ‘rules’ to follow. But when it comes to expressing yourself, you can invent your own rules. You can change them, you can stretch them, or you can ignore them all and dive headfirst into the unknown." 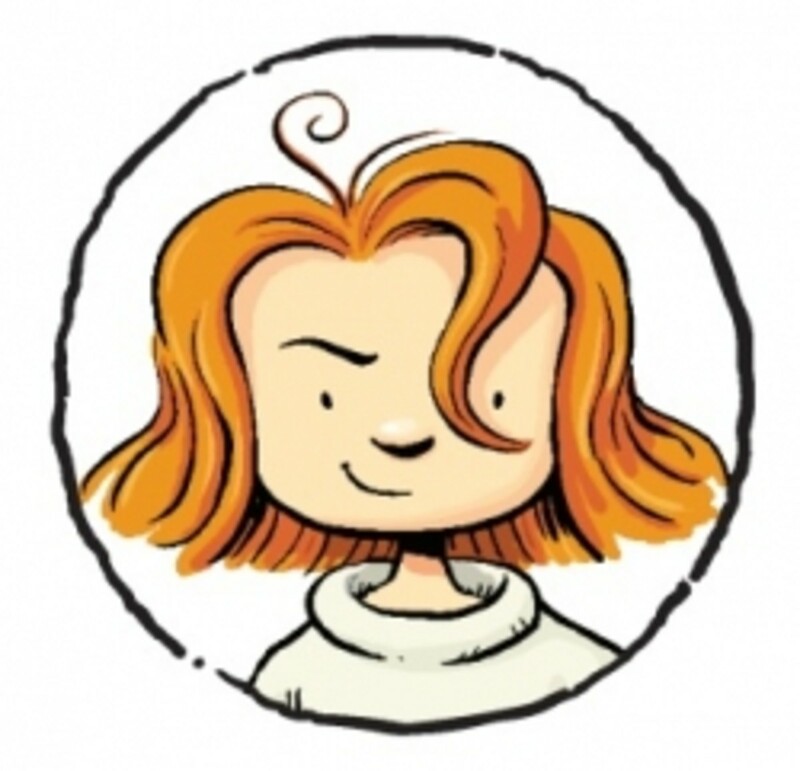 Official Website with more information on Peter Reynolds, his art and books. @anonymous: I haven't found any evidence of one. I'm not sure the first one did well enough at the box office and the girl playing Judy is too old to do so again, so it'd have to be a whole new cast. I have wanted to read these books because I want to write in this genre and best way to improve on your work is to read the best. Great lens. Wonderful lens! Judy Moody bookks on the present list from now on. My daughter is a Judy Moody fan. Heh, and blessed by an Angel again, I like the polls and extra bits! I shall now look out for these books. Blessed by an Angel. el libro judy moody es muy entrete. chau a todos. One of my daughters favorite. Great lens. Great lens on a children's favorite. Blessed by an Angel. 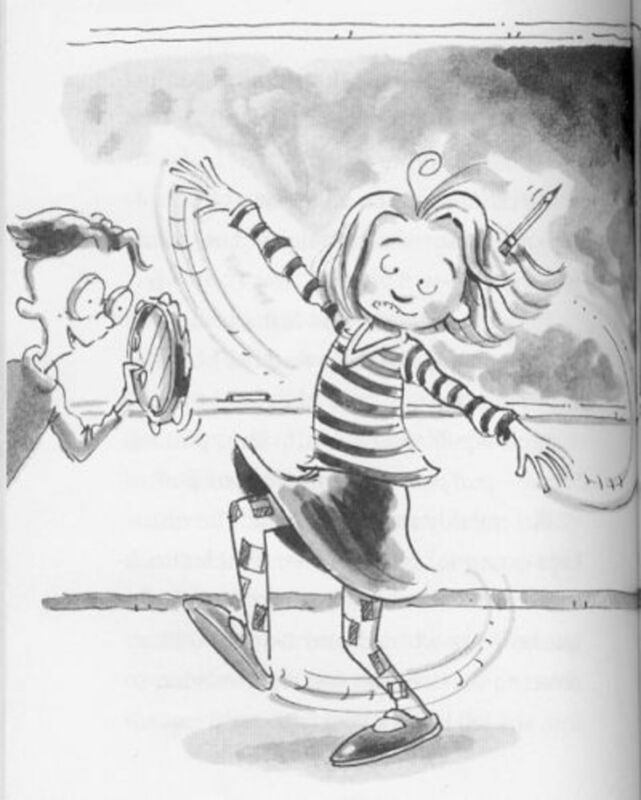 I love the Judy Moody stories and the illustrations. She always makes my mood turn a little happier. Fun books and great squitlit. Lensrolling to mine.